Our henna paste is made from Fresh Jamila brand Henna Powder, lemon juice, sugar, and pure essential oils. There are no added dyes or chemicals. Most people will acheive a dark brown stain depending on their individual skin type and how well they take care of their henna design. Apply Henna Paste to clean dry skin. Leave the paste on the skin for a minimum of 2 hours, preferably 4 or more hours in cooler dryer climates. After several hours, you may scrape off the henna paste. Don't wash it off and avoid wetting that area for the rest of the day if possible. The stain will be light orange when you first remove the henna paste. It will darken over the next 2 - 3 days. The stain will disappear as the skin exfoliates, typically over a period of 1 - 3 weeks. Avoid scrubbing and avoid chlorinated water if you want your henna design to last longer. 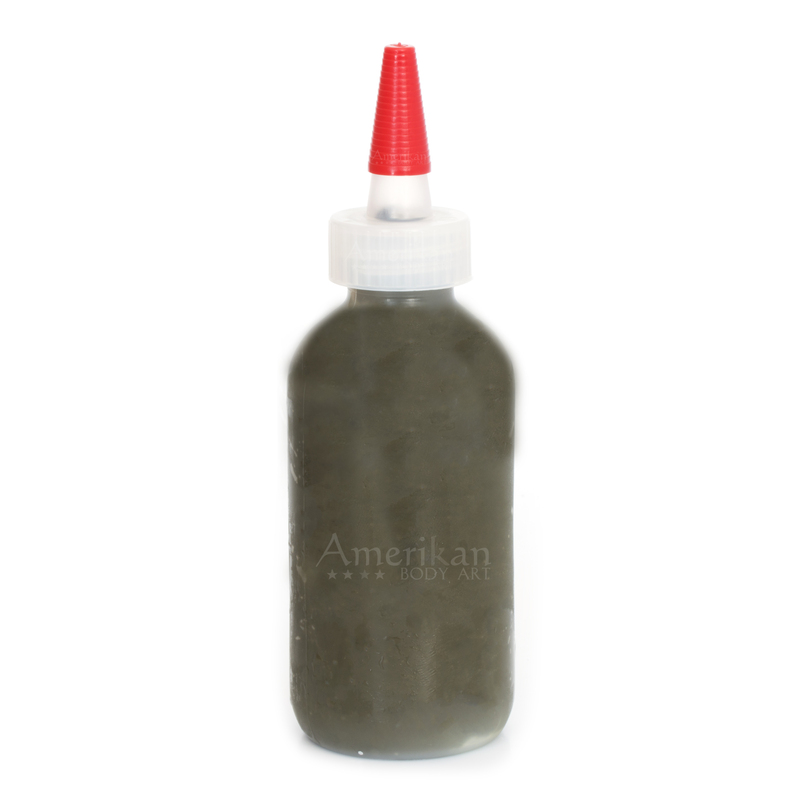 Pre-Made Henna Paste leaves our warehouse frozen and should be placed in your freezer as soon as you receive it. Only take it out when you are ready to use it. Henna Paste left at room temperature may begin to demise in quality within several days. You may keep it in the refrigerator for a week or more, but if kept in the freezer, will give great results for a year or more. You may put your henna paste back in the freezer after defrosting, but it begins to lose quality after a few times of doing this. Our Pre-Made Henna Paste CANNOT be shipped internationally. This size bottles is perfect for 1 artist to use at an all day event or for 2 artists to use at a party. You can do over 100 small henna designs with this quantity of henna paste. Please choose Priority Shipping for all orders containing henna paste and freeze the paste as soon as it arrives. Keep henna paste frozen until you are ready to use it. This is 11oz of henna paste by weight. It will fill (2) of our 4oz Refill size squeeze bottles. This size bottle is perfect for 1 artist to use at an all day event or for 2 artists to use at a party. Ingredients: Jamila henna powder, sugar, lemon juice, lavender essential oil, cajuput essential oil, rose geranium essential oi. Ingredients: Jamila henna powder, sugar, lemon juce, lavender essential oil, cajuput essential oil, rose geranium essential oil.